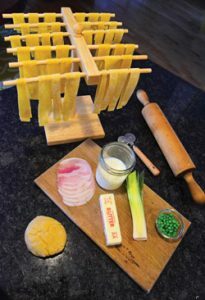 Making anything from scratch, let alone pasta, may seem daunting at first, but there are really only three ingredients you need – time, love and tenderness. Sure, it’s cheesy, but we’re talking pasta, so there’s going to be some cheese involved. 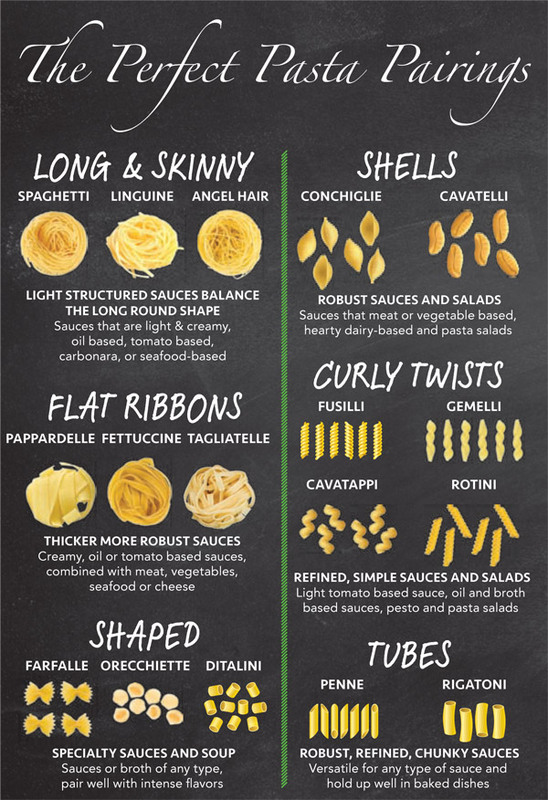 Mastering making your own pasta takes time and practice. You’ll also want to add a lot of love, so try not to get too frustrated with yourself and have fun. Finally, fresh pasta is rich, tender and surprisingly easy to make. No pasta maker? No problem. 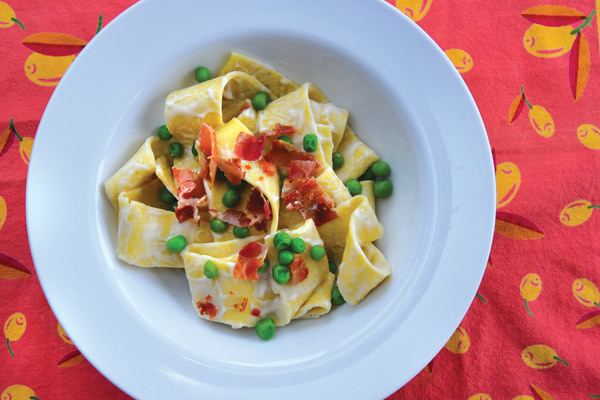 Try your hand at making our pappardelle – no fancy equipment needed. Serve it with a homemade garlic cream sauce with crispy pancetta. Or give a few more homemade sauces a try! Our take on the classic vodka sauce uses rich mascarpone cheese and goes great with gnocchi. 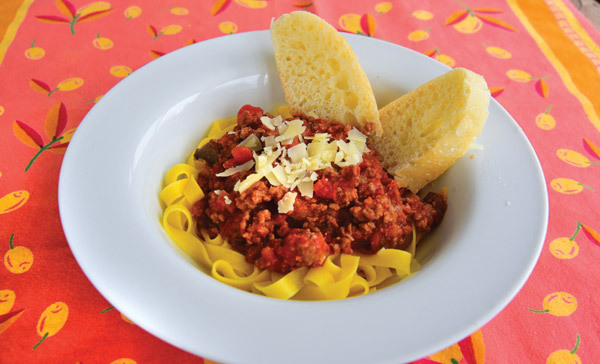 Make a hearty traditional Bolognese from scratch and serve over a lush, eggy tagliatelle. 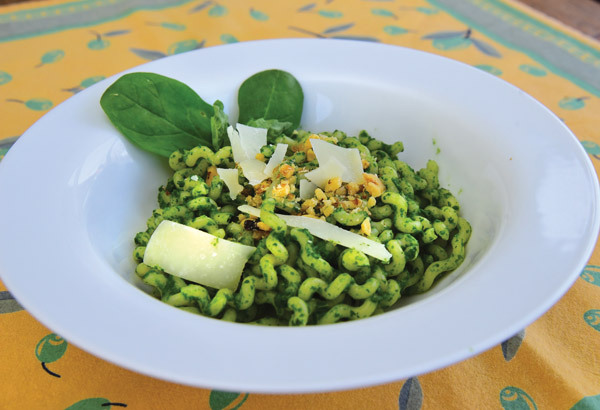 Or go green with a fusilli served with a spinach pesto with peas. Think outside the box (and the jar) with these classic recipes sure to impress your guests and family alike. In a large sauce pan, heat 1 tablespoon of oil (reserve the rest). Add garlic and onion, sauté until translucent. Add spinach and basil to the pan. Toss until wilted. Turn off the heat. Place all ingredients (except walnuts) in a blender or food processor. Blend until nearly smooth, scraping the sides of the appliance with a spatula as necessary. Place in a bowl and toss with your favorite pasta. In a large skillet, warm olive oil over medium heat. Add garlic and shallots, cook until onion is translucent. Add red wine and tomatoes cook for 2 minutes. Add remaining ingredients, and a generous pinch of salt. In a small pot, heat oil over medium. Add shallots, season with salt and pepper, and cook, stirring, until tender, 4 minutes. Add peas, cream and lemon zest. Bring to a boil and cook until slightly thickened, 8 minutes. Add lemon juice and season to taste with salt and pepper. Pour cream sauce over pasta and toss to coat the pasta. Top with crumbled pancetta and serve immediately. The great thing about this pasta is you can make it without a pasta machine! Knead by hand until the flour is well incorporated. Cut the dough into 2 equal-size balls; flour the surface. To knead each piece, push the dough away from you with the heel of your hand, fold the dough over itself and turn it counterclockwise. Continue pushing, folding and turning until the dough is smooth and elastic, 4 to 5 minutes. 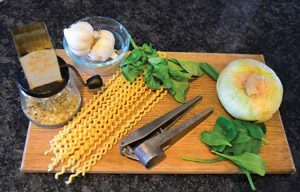 Cut the pappardelle with a sharp knife or pastry cutter. Dust the top of the sheet of dough with flour and loosely roll it into a cylinder. Cut into 3/4-inch-wide slices. Unwrap the noodles; dust with semolina and gently toss to separate. 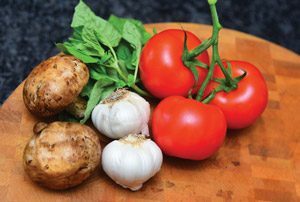 Place on a sheet pan and cover with a tea towel until ready to cook (or freeze in freezer bags for up to 2 months).